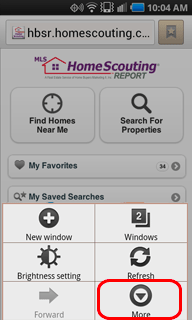 Adding HTML5 App to your Home screen provides you with easy and instant access to find App wherever you are! 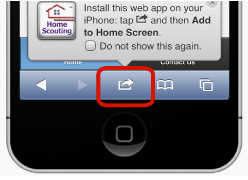 Step 1: Press the "Share" button on the Safari toolbar. Step 2: Select Add to Home Screen. 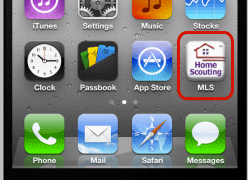 Step 4: The Home Scouting icon will now be visible on one of your Home screens! Step 1: Press the "Menu" button located on the row of buttons near the bottom of the device. There are a variety of ways the Menu button might appear depending on your Android model. Menu button appearance differs between the android devices, in most cases it appears in the lowest left corner. Step 2: Select More from the menu that appears. 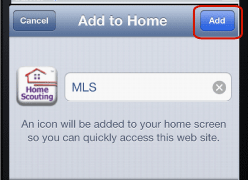 Step 3: Select Add shortcut to Home. If this menu option is not available, see Note below and follow the instructions. 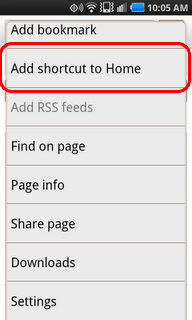 Step 1: Select the Menu on the browser toolbar. Step 2: From the menu, select Add to. Step 3: Select Home screen. 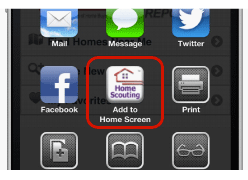 Step 4: Home Scouting will now be visible on one of your Home screens! Step 1: Select the "Globe Menu" or BlackBerry Menu button. 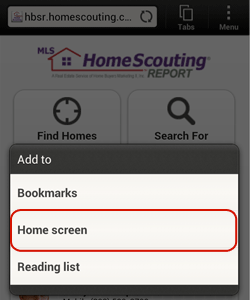 Step 4: Home Scouting will now be visible with your other applications. Step 1: Select the "..." button on the address bar. Step 2: Select pin to start. 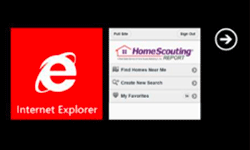 Step 3: Home Scouting will now be pinned to your start screen.